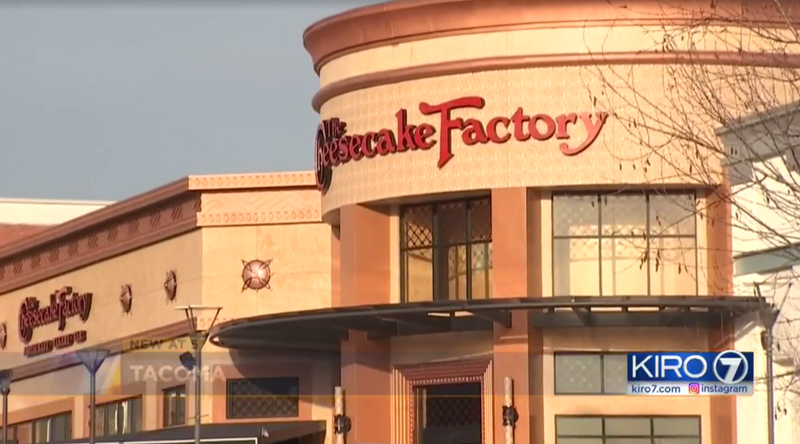 TACOMA -- Officers with the Department of Corrections were recently ousted from the Cheesecake Factory restaurant at the Tacoma Mall because they were carrying their firearms, CBS affiliate KIRO reports. The group was seated in the back of the restaurant, Nichols noted. They avoided making too large of a scene as the officers showed their badges and law enforcement identification to the Cheesecake Factory managers, explaining why they — as officers — had guns on them. Cheesecake Factory management was polite, she said, and weren’t trying to be rude over the situation. “There are only so many ways to politely kick someone out of an establishment, though,” Nichols said. The incident at the Tacoma Mall Cheesecake Factory made its way onto social media where it garnered considerable attention. Nichols said that people responded to it with outrage and disbelief. “It’s kind of given that law enforcement carry firearms,” Nichols said. Nichols said her department has been contacted and the restaurant wants to rectify the situation. She has been told that there was a miscommunication with the Tacoma management and that the company does not have a policy to ban law enforcement with firearms from their restaurants.